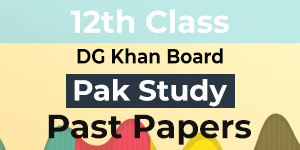 Board of Intermediate and Secondary education was established in 1989 for conducting the examination of Matriculation and Intermediate of the students residing in the districts of Dera Ghazi Khan, Muzaffargarh, Layyah and Rajanpur. It conducts the examination of the students every year under its supervision. 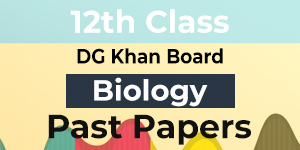 The students preparing for the exam of FSc 2nd year, I.Com 2nd year and F.A 2nd year can get all the past papers of BISE DG Khan over here. 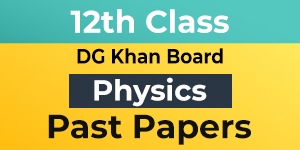 No matter either you’re student of science or arts, all the past papers will be available here for your guidance and effective preparation.